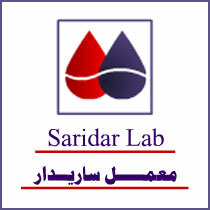 Saridar Labs is a leading professional clinical laboratory in Egypt that has 11 branches. EgyGo will design Saridar Labs's website which will be bilingual and also a Directory will be created for the Profiles & Tests. Since 1999 A challenging selective Egyptian businessmen elitism agreed to put all market experience and creativity to establish the concept of "Family Shopping End Entertainment Centers" to be the pioneers in this industry in Egypt. EgyGo has designed & developed a bilingual CMS (Content Management System) for Eceta management company. Established in 1990, the founders of DCT believed that their objective was not only supplying the market with the latest high-tech equipment, but their vision was to add value and benefits to their valuable clients by integrating equipment, software and services into complete business solutions. July the 19th 2008 marks the foundation of the term 'Middle East Music Awards'. The awards shall cover the whole factors & involvers in releasing a song. More specifically, the term is currently used to classify the many aspects of music makers in the Middle East. EgyGo & M3webz.com (EgyGo's sister company) sponsored the first Middle East Music Awards. EgyGo Dot Net has just finished the new design for deargust.com, an Egyptian Business & Life Style magazine.